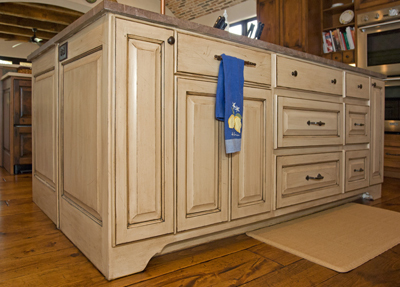 Henderson's Custom Cabinets offers that something special, something unique, and something distinctly yours that you can't find anywhere else. Designed by experts trained to appreciate fine craftsmanship; we use only the best materials to skillfully construct your custom cabinets. We make all our own panels and raised panel doors in our shop, to assure a quality finished product. When it comes to fitting your home exactly, we use precision and skill that is unsurpassed.